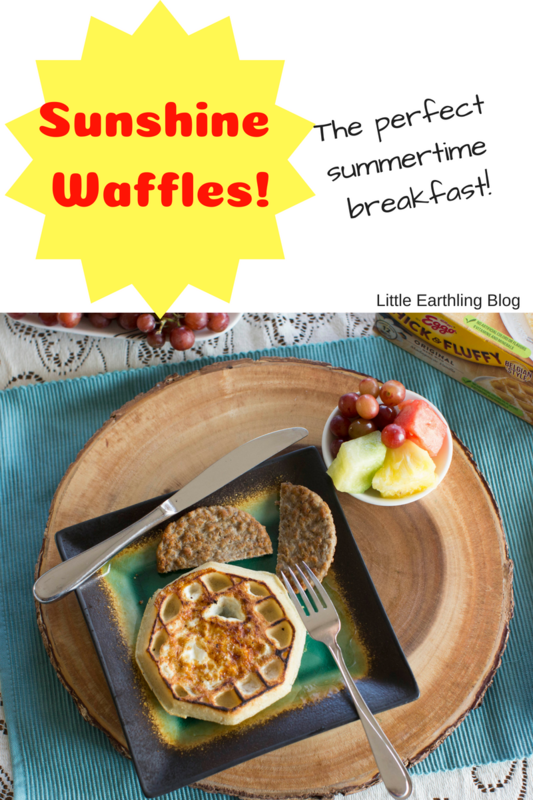 Sunshine Waffles Are the Perfect Summer Breakfast! Breakfast, lunch, dinner…I’m always up for waffles (except maybe that time I added soy sauce to them). I quit making homemade waffles years ago when I realized I had spent an hour and a half making waffles (with TWO waffle irons) and still hadn’t fed everyone. I’ve been a committed Kellogg’s® Eggo fan ever since. A few months ago I brought home the book Roald Dahl’s Revolting Recipes from the library. Hezekiah and Tucker fell in love with the recipe for Hothouse Eggs. They cut a circle in the center of a piece of bread, put it in a greased skillet, and fry an egg in the center. While I agree eggs and toast make a pretty good breakfast, eggs and waffles make a spectacular breakfast! I have been watching the boys make their Hothouse Eggs for months and was inspired to come up with my own recipe…for Sunshine Waffles. 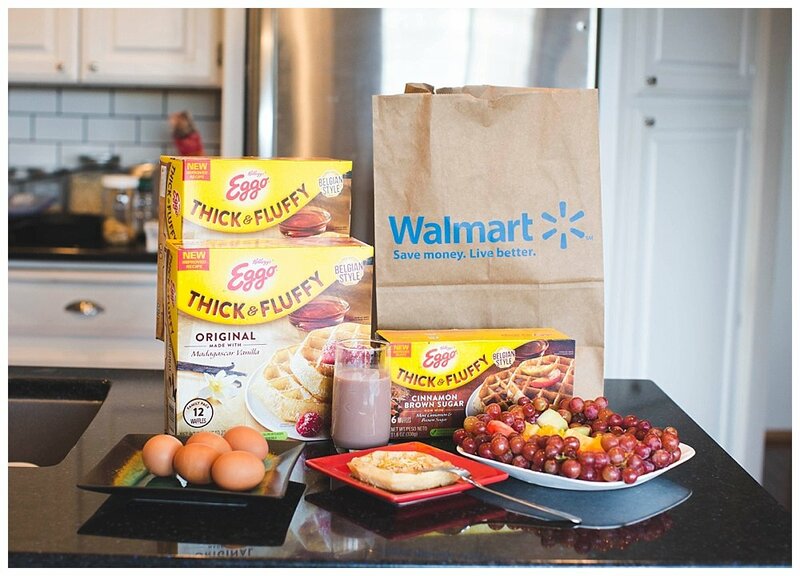 I picked up Kellogg’s® Eggo Thick & Fluffy Original Waffles at Walmart. These Thick and Fluffy Belgium-style waffles are perfect for housing a fried egg. They have a new and improved flavor which make the Sunshine Waffles a savory breakfast treat and the thicker Belguim-style makes them perfect for holding an egg. They are now made with Madagascar Vanilla which gives a hint of sweet to this savory dish. Cooking these Sunshine Waffles is quick and easy. You don’t need to toast the waffles before you make these. The waffle will cook as the egg does. 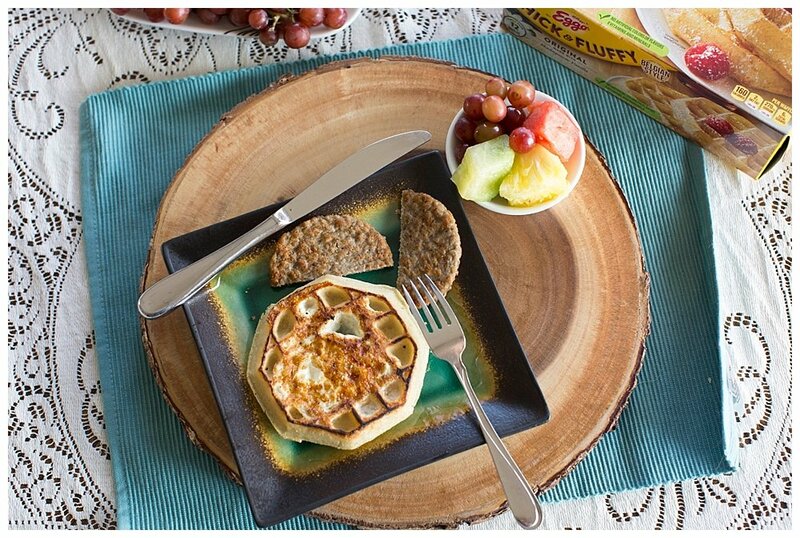 All you need to do is use a cup to cut a circle out of the center of the waffle (be sure and save these to toast later). 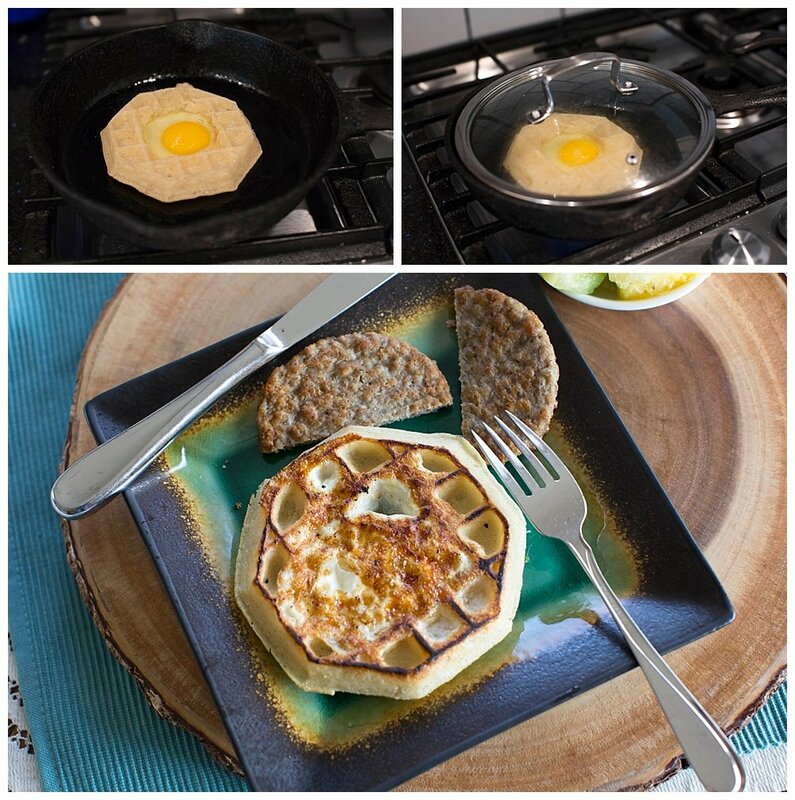 Add the waffle to a hot, greased griddle, add one egg to the center of the waffle, and put a lid on. 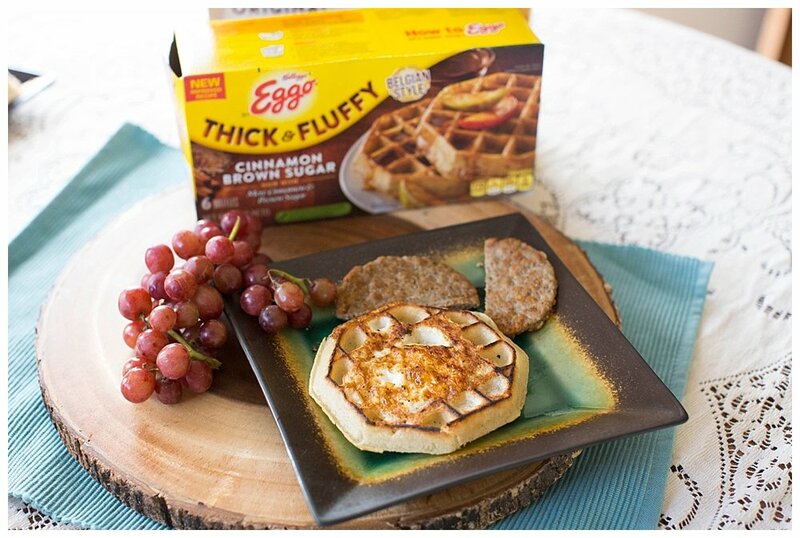 Cook for 3-5 minutes and then flip the waffle and egg. Cook one minute more or until cooked to your taste. Add salt, pepper, and cheese if desired. And if you’re feeling really ambitious, add a pile of caramelized onions! This breakfast is wholesome, filling, and your kids will love it. 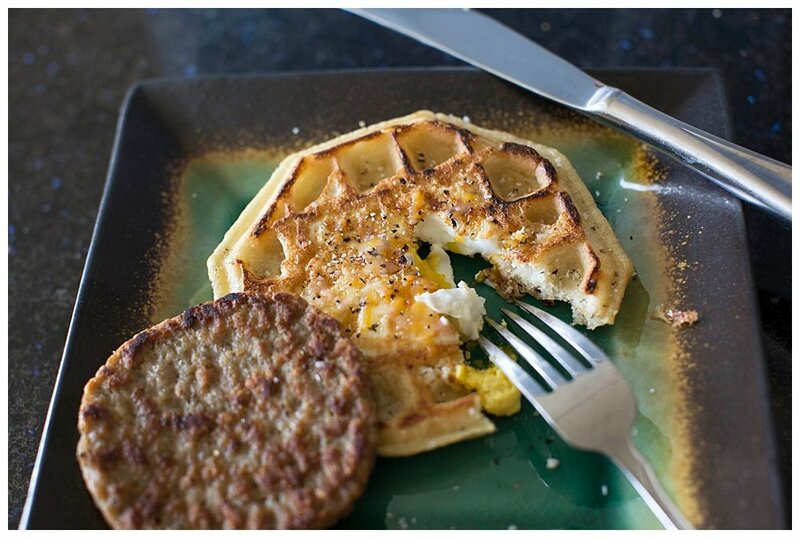 Sunshine Waffles pair perfectly with maple sausage! Add in some fruit and you have the perfect summer breakfast! 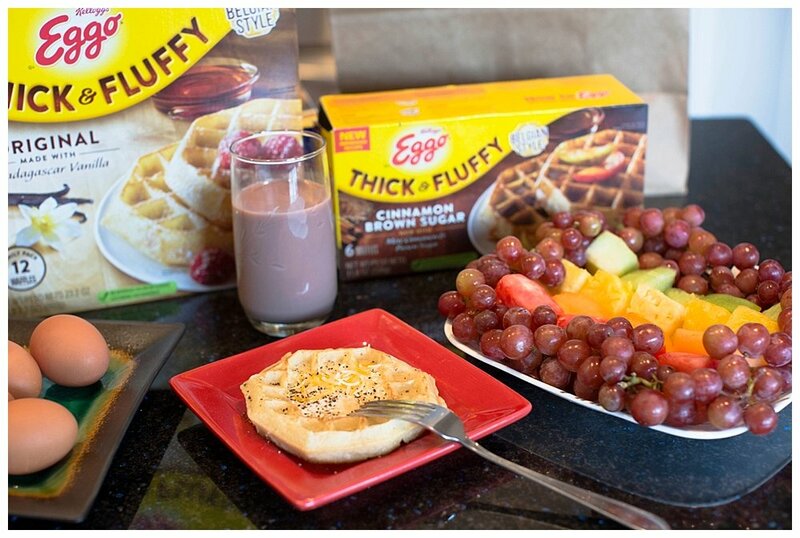 We are also huge fans of Kellogg’s® Eggo Thick & Fluffy Cinnamon Brown Sugar Waffles add some butter and you are in for a treat! I always liked Eggo buttermilk waffles and I get them when I’m in New York. But I live in Germany and actually the Fanny Farmer cookbook recipe (c. 1986 version) is really yummy . . . I love the Eggs Buttermilk Waffles too! I just can’t justify spending two hours making waffles from scratch. Then your husband will love these!